Any studio that processes phone calls needs hardware to interface with phone lines. This device, traditionally called a Hybrid, filters, separates and provides gain adjustment and call control to more easily allow for recording or broadcasting “phoners”. As telephone companies are shifting from traditional phone lines to Voice-over-IP (VoIP) systems, the devices that performed this job in the past are becoming outmoded. Broadcasters need a VoIP hybrid to ensure on-air and recorded phone calls sound as good as possible. A dual-line hybrid, VH2 connects two VoIP lines to a studio for individual broadcast or flawless conferencing. VH2 prevents echo and distortion, and automatically adjusts caller audio to a uniform level, leaving you with a result that’s clean and clear. Plus, VH2 uses only VoIP phone lines, saving you money and increasing functionality. VH2 can even connect to many VoIP PBX systems. 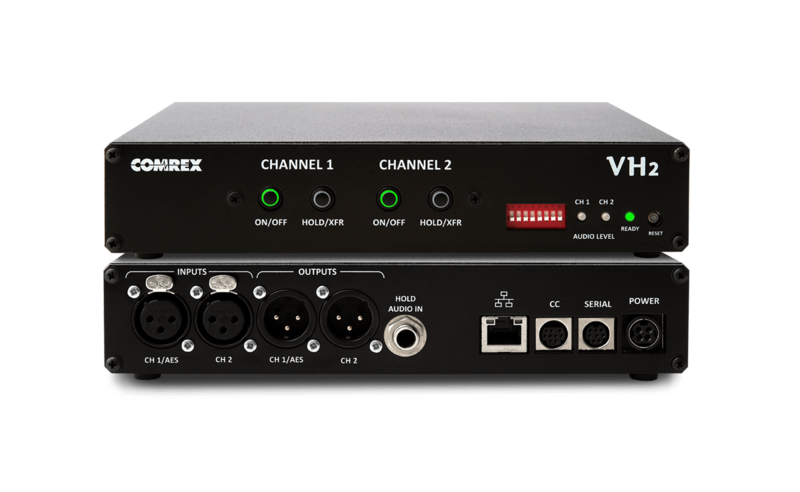 VH2 can be configured in several ways to be compatible in environments where the studio has different telephone connection arrangements. Dual or single input and outputs can be selected, and AES3* or analog audio I/O can be chosen. VH2 can be configured for callers to hear each other, or be isolated depending on the needs of the studio. *Supports 48 KHz sampling rate only for AES3. VH2 offers a pair of audio inputs for callers “on-hold”. This allows for listeners to hear your programming while they are waiting to be put “on-air”. Selectable automatic gain control (AGC) maintains a uniform audio output, even when the caller signal varies widely. Also, selectable caller ducking lowers incoming caller audio, so local talent remains in control. When configured with its companion phone (the Polycom VVX 201 IP phone), VH2 does even more. Calls can be answered on the handset and easily transferred back and forth to VH2, just like a traditional telephone hybrid. And the companion phone supports caller ID and outbound calling. VH2 is outfitted with front panel controls and status indicators so it can be used out-of-the-box. Front panel buttons can also be remoted via the rear panel connector, so your console buttons can trigger its functions. 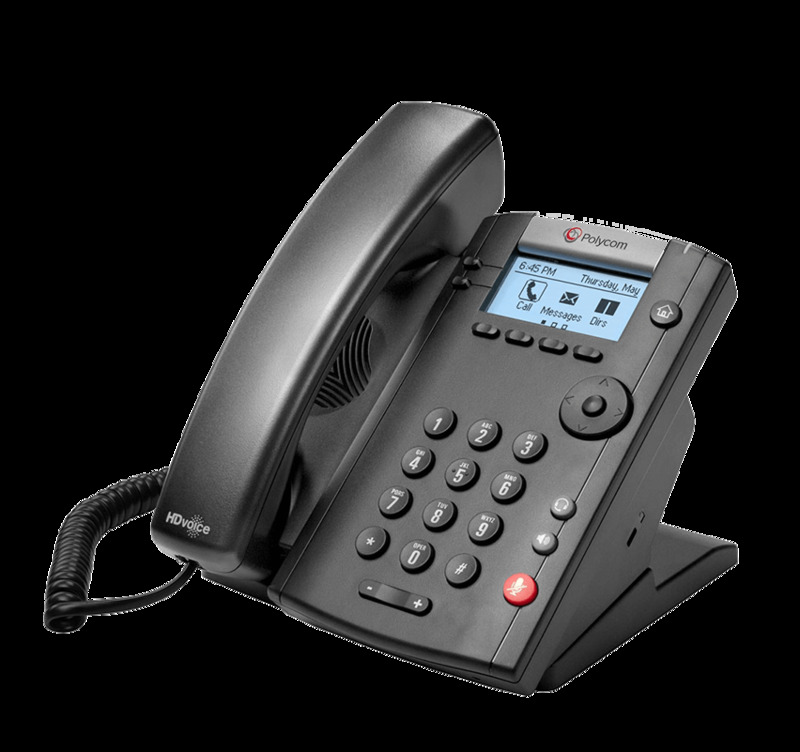 The companion phone for the VH2, the Polycom VVX 201 IP phone is an IP desk phone that provides excellent sound quality and reliable features in an easy to configure package. Mount a single or two side-by-side VH2s in your 19″ rack. *VH2 Rack Kit includes: Rack shelf, customized front panel and mounting screws. Send audio in on balanced XLR-F input (clip +20dBu). Switchable to AES3 I/O (48KHz sampling rate only for AES3). A power supply for VH2. IEC power cord not included.